The Google Map field creates an interactive map with the ability to place a marker. 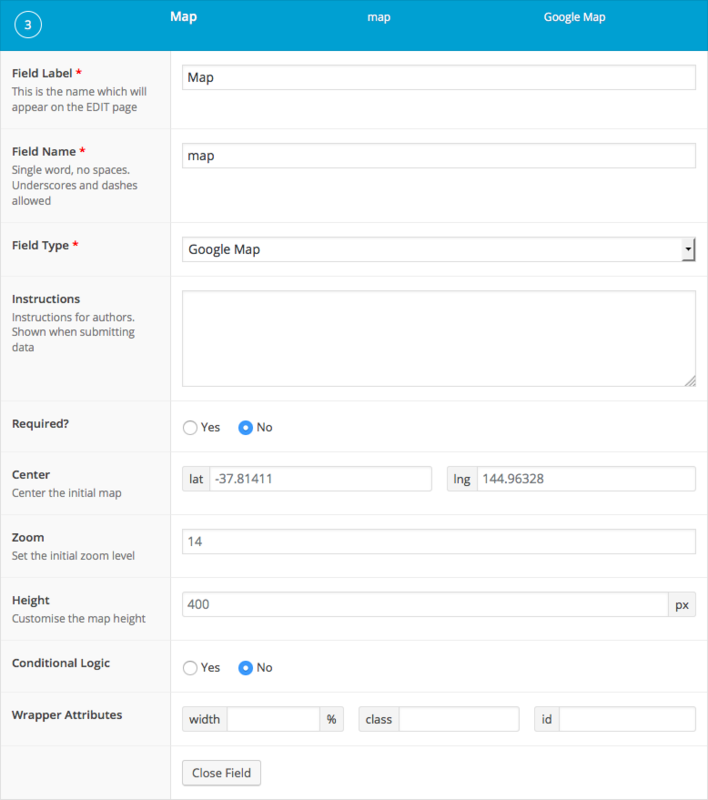 This field features a search input, location finder button and click/drag events to place the marker. The data saved and returned is an array containing the markers lat, lng, and address. The Google Maps API has a daily limit on the number of sites able to use this free service. To lift this restriction, please register a Google API key following the steps documented later in this article. It may be necessary to register a Google API key in order to allow the Google API to load correctly. Please follow this link to get a Google API key. The following code examples show how to display saved values onto a map. Please also note that the Google API is required for this to work and is included in the required JS below. The Google Map API is a great library to render a map, however, it is not the only API available. Please consult Google for any other API’s and tutorials. Both examples below require the following CSS and JS to be available to the page template. Please note that both the CSS and JS can be modified to your liking, however they are a good starting point to understand how the PHP data can be translated through HTML into the JS Google Map API. This example shows a repeater field (called ‘locations’) with 3 sub fields; title (text), description (textarea) and location (Google Map). 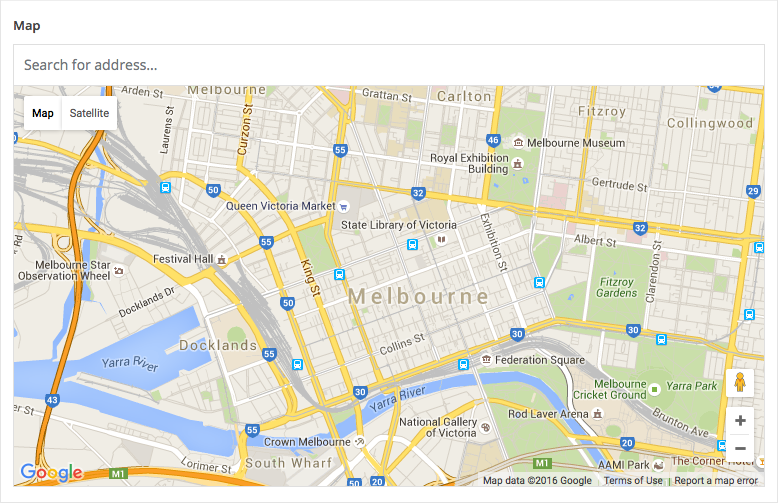 The Google map API will not work as expected if initialized on a hidden element. When the element is show, the map will not display. This scenario is most likely when using a popup modal. To solve this problem, simply trigger the ‘resize’ event on the map variable after the map element is visible.